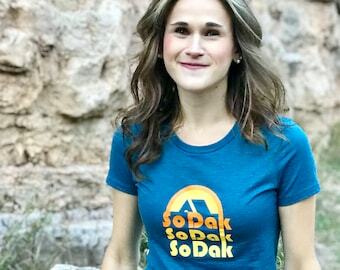 Show off your SoDak pride with this fun retro unisex SoDak Hoodie by Oh Geez! Design! 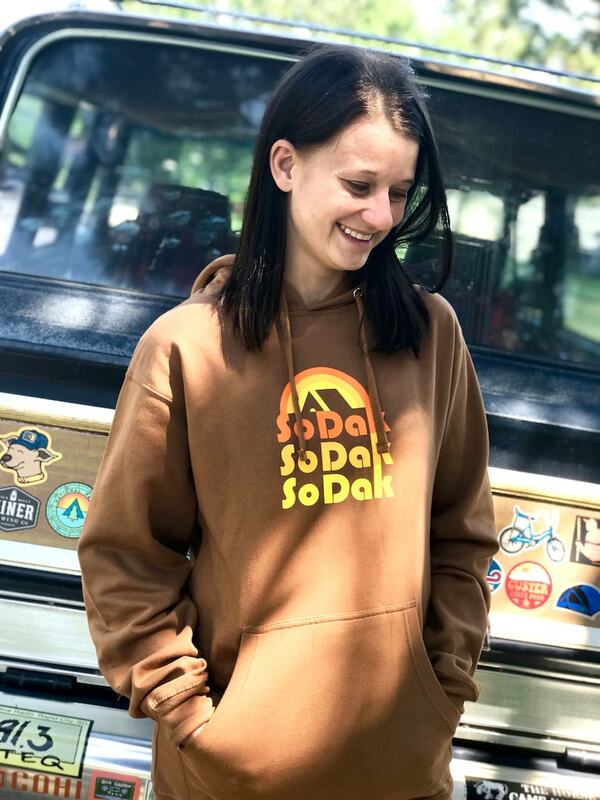 Perfect hooded sweatshirt for cool SoDak nights, camping trips, hiking, or just hanging out in South Dakota! 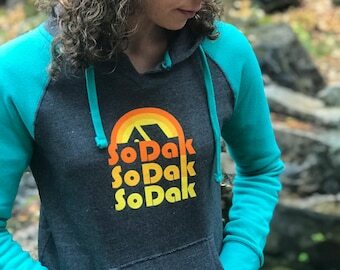 The hoodies feature my SoDak retro camping logo, screen printed on the front with the Oh Geez! Design sun logo screen printed on the lower right back side. 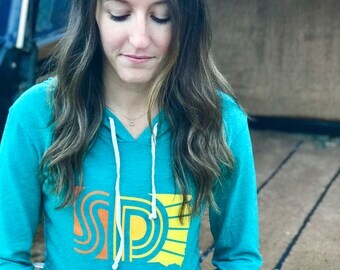 The hoodies are "saddle" brown. They are super comfy and soft to the touch. 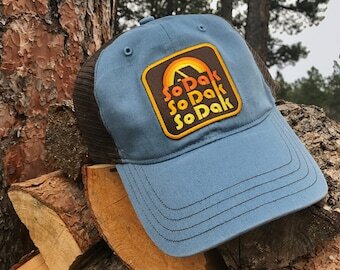 They are a 80/20 cotton polyester blend and also have a front pouch pocket. 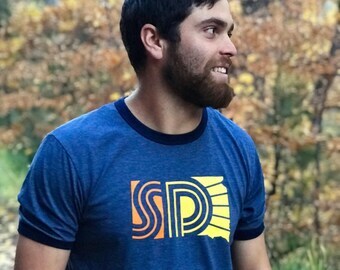 They are available in sizes Small through 2XL. The sleeves and hoodie length are nice and long! Contact me for questions or measurements on any sizes. I would say that they fit true to size.